Facebook announced the expansion of a trio of new video tools today, namely the rollout of a previously-announced feature called Premieres — which gives content creators the ability to debut pre-recorded videos as live events — to all Pages globally. Premieres — which test partners have used to debut trailers, new series episodes, and other exclusive footage — aims to enable an audience to experience a piece of content for the first time as a community, Facebook says, and ignite real-time conversations. 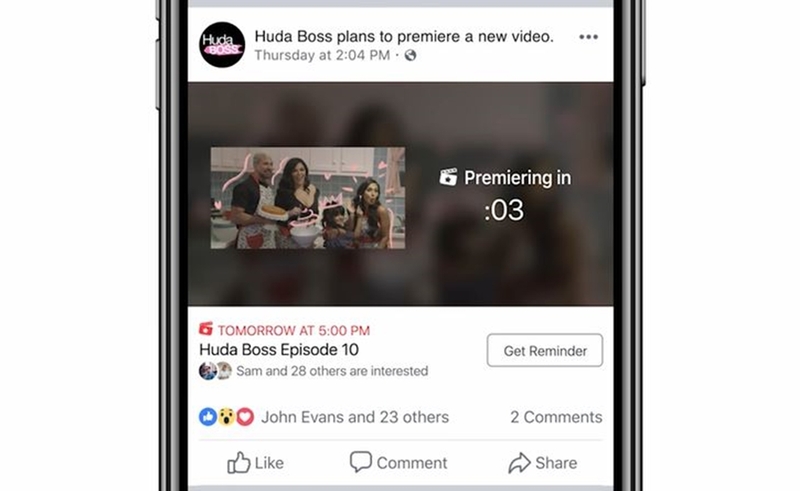 Premieres, which can be scheduled and promoted up to one week before their debut, are distributed on Pages, in the News Feed, and within Facebook’s one-year-old episodic video hub, Watch. “Throughout testing, many partners saw value through increased engagement, scheduling, and the live nature of the moment,” wrote product manager Matt Labunka in a blog post announcing the rollout. These test partners included OWN (who harnessed the feature for Oprah Winfrey’s SuperSoul Sunday series), Sony (for its Hindi language version of Who Wants To Be A Millionaire? ), BuzzFeed (for BuzzFeed Unsolved), the Buffalo Bills (for their 2018 kickoff video), and on-the-street comedy creator Jimmy Zhang. Additionally, Facebook is rolling out video polls to all Pages — a feature it first introduced last June at its first-ever Creator Day in Los Angeles. In addition to these polls, which occur on Live videos in order to gather real-time viewer responses, Facebooks said that it will incorporate polling into on-demand videos as well. And finally, Facebook is rolling out a feature called Top Fans to all eligible Pages (or those with more than 10,000 followers) globally. The Top Fans feature rewards a creator’s most loyal follower — determined by how much he or she watches, reacts, comments, and shares content — by bestowing a special badge next to their username and posts.